Cover your workplace with newspaper or cardboard to prevent it from getting dirty. I used a damp cloth and wiped off all the dust on the lid.There was a note attached to the lid and it had left some ugly glue residues. In order to remove the glue, mix one part water and one part nail polish remover. 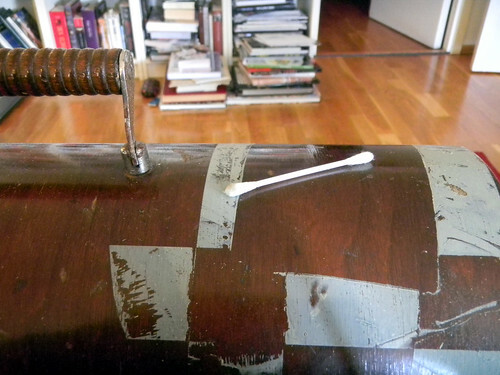 Dip a cotton tip in the mixture and start rubbing it on the glue. When the glue is gone use a damp cloth and wash away the nail polish remover mixture. It is important to remember that some nail polish removers are stronger than others. First try the mixture on a small area (for example inside the lid) so you do not etch away the paint on the lid. Use a damp cloth and wiped off all the dust. 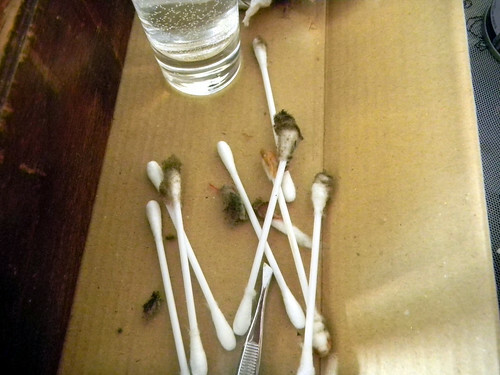 A cotton tip and tweezers is your best friend. 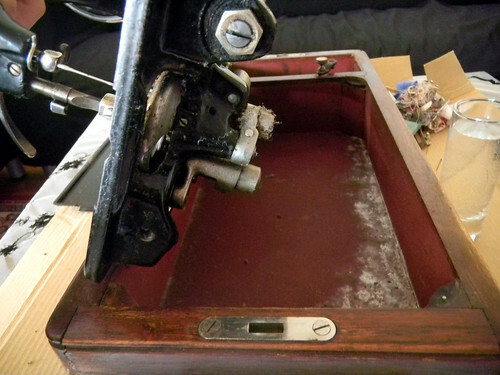 Use them to get to the al the small tricky places to remove all bits of thread and dust. Is important that you leave the red felt alone (you see it right under tweezers on the the picture) The felt helps to lubricate things. Unscrew the lid and clean the inside. 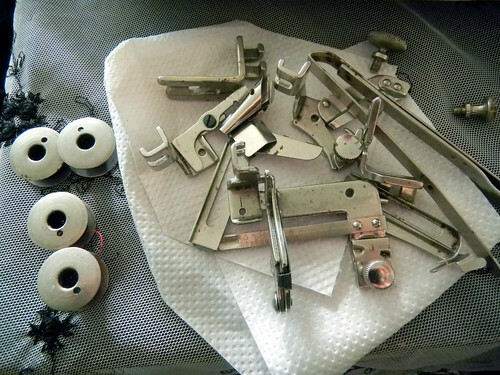 Use quality sewing machine oil and oil moving parts where metal touches metal. 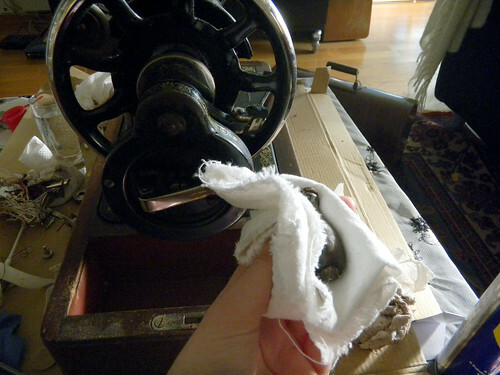 Clean off excess oil from the machine by using a cloth. 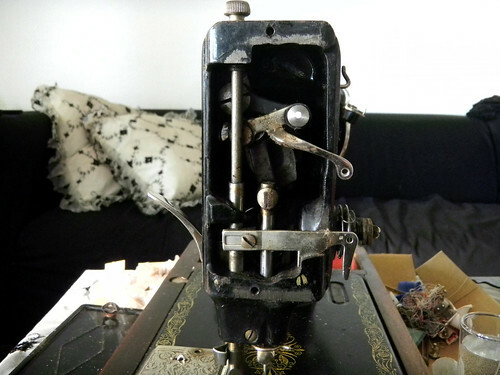 This is not an electric machine, but it is important to remember that if you clean an electric machine, never lubricate any of the sewing machine’s electrical parts. Clean both above and below. There was a lot of rust on the handle. I used rust remover and a linen cloth. Remember to clean all the extra parts. Simplicity 5954, my first dress sewn out of a sheet! What a nice Singer 99! I have a motorised version of this one, with the knee bar. 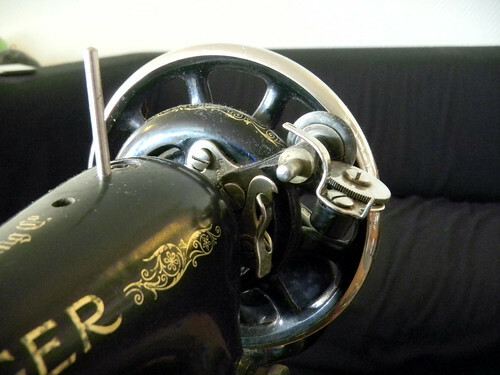 If you are interested in people who use people powered sewing machines, treadleon.net is a really good website. Still making hand cranks in 1922? Nice job! 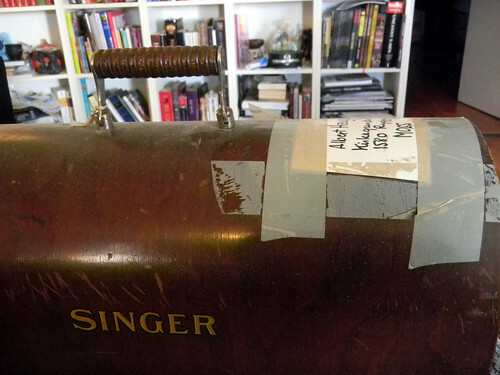 I recently got a motorized Singer 15 with Sphinx decals. I haven’t cleaned it yet–not even sure if it works! I’m always looking for restoration tips, so it’s great to see this. Singer has a nice website for figuring out how old your machine is by it’s serial number . Perfect. Thank you. 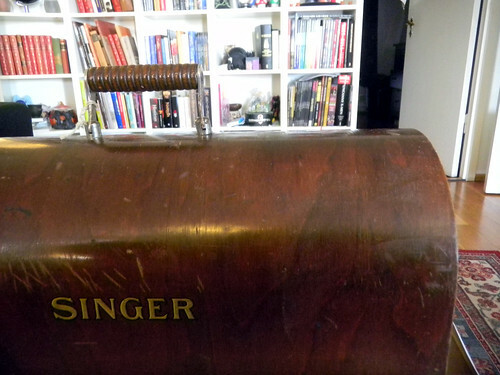 I scored a 1936 Singer at Goodwill yesterday. I can’t wait to polish this baby up!!! Thank you very much for the post! Cannot wait to start cleaning my 201K threadle! 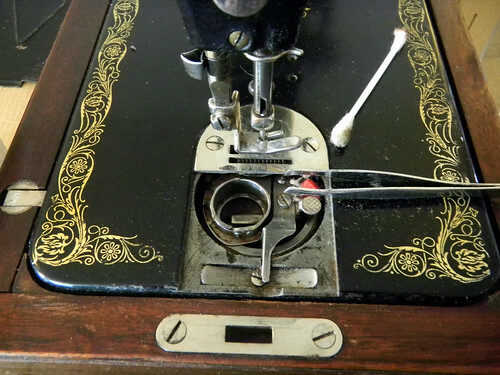 Thank you for sharing, this Singer is a great sewing machine. We just repaired one like this in our store. Next time on the wood or glass use natural peanut butter. Oil removes sticky. Works every time. Also on pen marks on a hard surface NOT fabric try an expo marker! Just rub it over ink or sharpie. It will remove it! 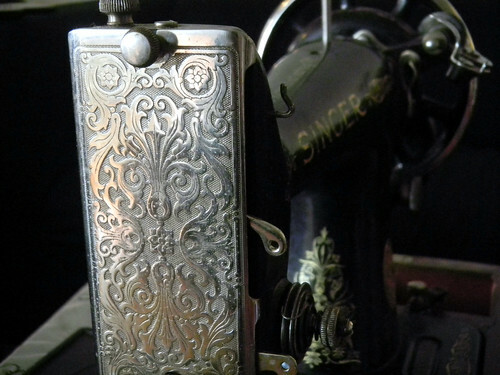 My great aunt bought a Singer treadle machine a long, long time ago and my Aunt still has it. I am unsure how old it actually is and it is still in use today. 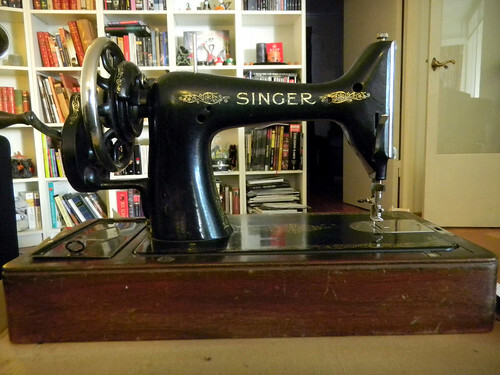 I got lucky today thanks to Craigslist and bought a 1911 Singer Treadle “Sphinx” for $25. That was a dream come true, especially given that it is in excellent condition save for being dirty. I am so happy!!! Definitely congrats on your beautiful hand crank find!